Great location, a relaxing, small 14 bedroom lodge. 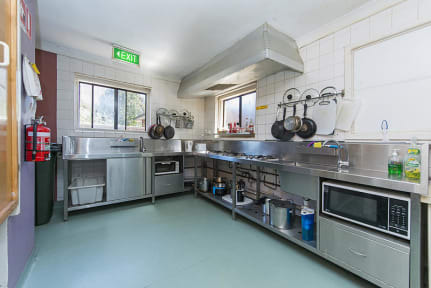 Fully equipped kitchen; Big BBQ area. Large common room where you can relax, read, watch TV and/or plan your travels. Internet access allows you to keep in contact with friends and family back home. Laundry has washing machine, drier and an iron board for your convenience. The private room types available are single or double/twin. Single rooms come with a comfortable single bed. 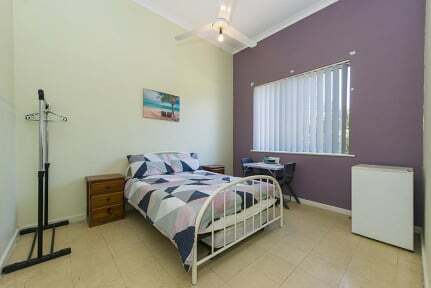 Bed sheets and linen are provided and all rooms come with ceiling fan. Victoria Park Lodge is located 3-4 km from the City Centre. You'll find everything in convenient walking distance, 10 to 15 minutes to supermarkets, post office, banks, shops, library, cafes and restaurants. Closed to Burswood casino, gym and the beautiful Swan River. Plus Wicked Campers Hire is just few streets away from the hostel. Good place to stay for my short visit - people in the hostel were really friendly! Staff were wonderful and the community herbaceous, my kind of lodge house. Nice small hostel, really friendly owner. Bit far away from the city but can use public transport to get there. Clean and good facilities. Fine hostel for a night near the airport. For the price the facilities were fine and the owner was very helpful. Not really a backpacking hostel fine and not great for a solo traveller. Don’t wish to make a proper review. Jimmy and May were receptive and very helpful! I stayed here to be closer to the airport and for that the hostel was great. Aside from that, I had booked a 4 bed dorm and they put me in a 2 bed, with one other man who was older. Everything was fine up until I got woken up by the man whispering my name in my ear to wake me up and tried to get into bed with me because he was “so cold” in his. I pushed him off and sent him to his bed. It took him a few seconds. Moral of the story, this is not the right hostel for female solo travellers! Unprofessional stuff, dirty and random people sleeping on the coach and starting to smoke weed in the lobby at 7 am.